The Seiko Grammercy QXQ013BLH has an elegant dark brown solid wood Alder Case with a glass Crystal and a white dial with Roman Numerals. 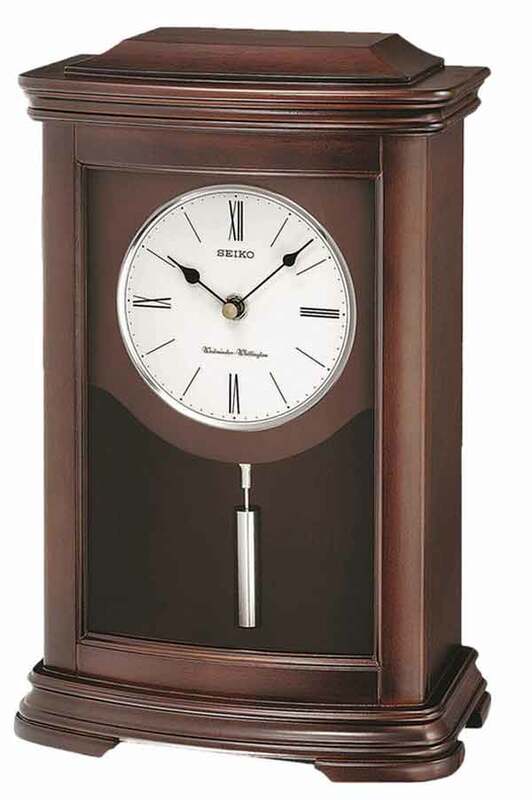 The contemporary dial offers Roman Numerals at the quarter hour positions with hour markers and a minute track surrounding the dial. 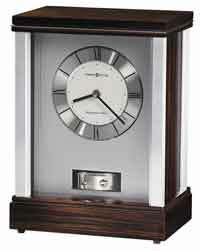 The bezel around the dial is a bright chrome with a polished cylindrical pendulum that silently swings back and forth. One "C" Battery is included. 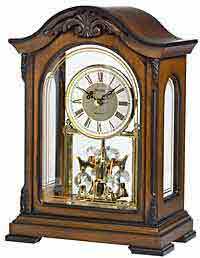 Westminster or Whittington quarter-hour chime and hourly strikes with a volume control and an automatic nighttime chime silence switch. The chime may be turned completely off with the volume control. Size: Height 13 1/5" Width 8 1/2" Depth 4 4/5. 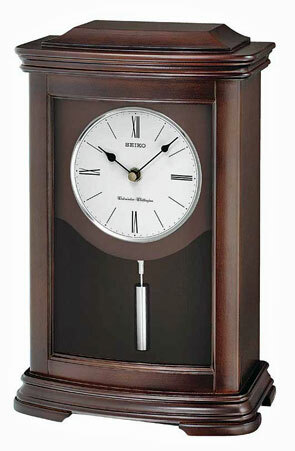 Clocks for sale at The Clock Depot including the QXQ013BLH at discount prices.